Actor Paul Rudd received his Pudding Pot at Harvard University Friday night. The smallest superhero had the largest smile in Harvard on Friday night, as he sat on stage for a celebratory roast that targeted his likable “dad face,” his past as a bar mitzvah DJ, and of course his role as the tiny “Ant Man” in the Marvel universe. 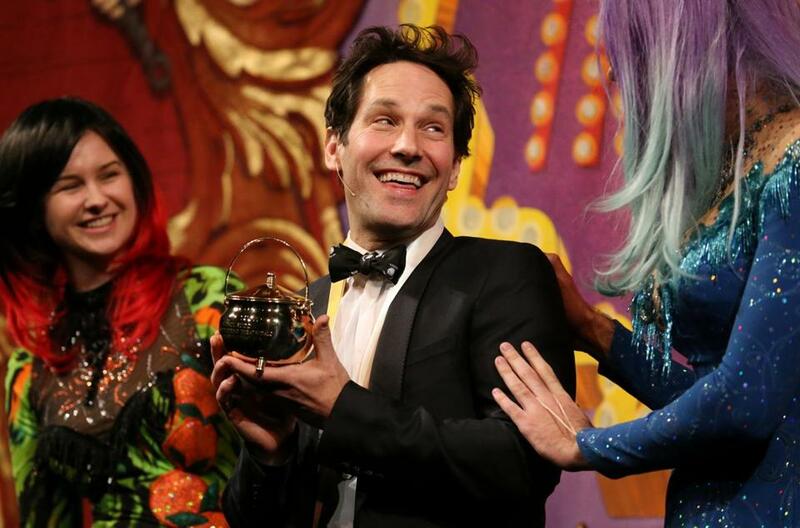 Actor and screenwriter Paul Rudd was presented with the 2018 Man of the Year award by the Hasty Pudding Theatricalsduring the annual black-tie event at Farkas Hall in Cambridge. Emcee’s Hannah Needle and Annie McCreery opened the night going through Rudd’s filmography with a pun or jab for every title, going as far back as 1995’s “Halloween VI: The Curse of Michael Myers,” saying that the film had not aged quite as well as Rudd’s forever-youthful face. Rudd has been in almost every form of production, from mainstream films to indie movies and most recently tried his hand at the Sundance Film Festival, starring as a Boston Red Sox player in “The Catcher Was A Spy.” Rudd plays Moe Berg, a real-life baseball player who spent the last five years of his career with the Sox. He then switched from ballgames to espionage, serving as a spy for the Office of Strategic Services during World War II. While honoring Mila Kunis, Harvard’s Hasty Pudding Theatricals announced it will begin casting women in its shows next year. 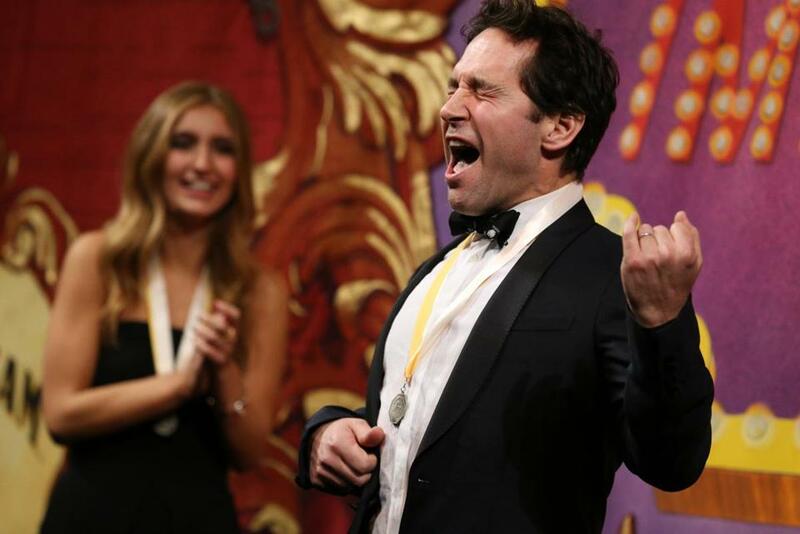 Paul Rudd sang and played air guitar. Rudd is also the first man of the year announced after the recent declaration that women will now be allowed to not only audition but perform in the annual Hasty Pudding Theatricals show, first announced at Mila Kunis’s roast for the 2018 Woman of the Year award last month. Rudd joins the ranks of Hollywood men honored by the Hasty Pudding club, a group that includes Harrison Ford, Robert De Niro, Tom Hanks, and even the 2018 Super Bowl halftime performer Justin Timberlake.